Jubiter.com is a cryptocurrency exchange platform that has recently been creating a huge buzz in the cryptocurrency community with its innovative design and benefits, attracting both experts and beginners. The platform was launched earlier in 2018, after a year of development by Bitcoin experts. Jubiter aims at providing a way for every person out there to join the global commerce transformation. The platform is easy to navigate, require very little information and offers high-quality funds and personal data protection. For these reasons and more, Jubiter has quickly turned into one of the most preferred cryptocurrency exchanges for buying, selling and securely storing Bitcoins and altcoins. Jubiter offers a variety of services, including buying Bitcoin/Litecoin instantly, using a credit/debit card, such as Visa, MasterCard, Visa Electron & Maestro. Moreover, customers can also buy Bitcoin via a wire transfers and enjoy the low transaction fees. With Jubiter, the minimum amount for a wire starts with $200 and maximum is 50,000$. The users can, however, raise the limit if they want to. 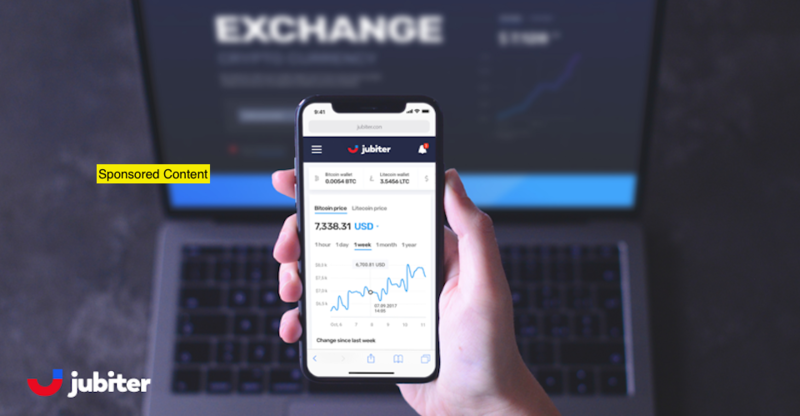 At Jubiter, users and companies can also enjoy the benefits of OTC trading, which means that two parties can trade currencies, without any supervision in a quick and easy way. Currencies are traded directly and is done electronically with no physical location. In addition to exchanging cryptocurrencies that easily, soon the clients will have the convenience of the Jubiter debit card that will grand them the ability to use Bitcoins for daily purchases and withdraw cash easily from ATMs. Jubiter is among the most secure blockchain-based cryptocurrency exchange because of implementing Login Guard, Two-factor authentication, Identity Protection, cold storage of digital assets, and the high data encryption standards. The exceptional security technology infrastructure protects the clients’ funds and personal information to guarantee their comfort.